Black glazed fondue pot with silvercoloured stainless steel appliques makes every fondue gettogether into a festive feast. The fine select stainless steel appliques with cow and edelweiss motif match perfectly. 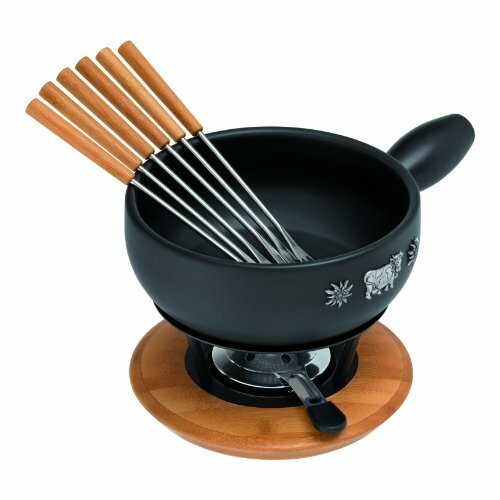 The set consists of a high quality 23 cm fondue pot, which can also be used on an induction hob, rechaud, a fuel burner filled with paste and 6 forks with bamboo wood handles. Simply light and enjoy.